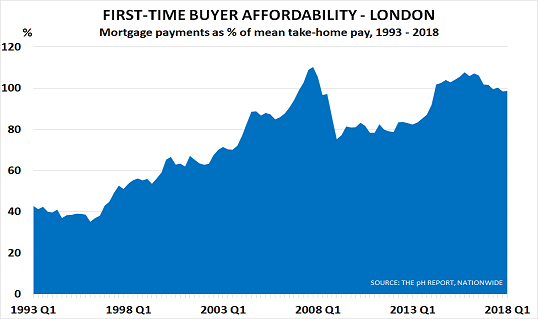 The post London house prices slip as supply/demand balances change appeared first on Chemicals & The Economy. Surprise and confusion seem to have been the main reactions to this month’s sudden downturn in western financial markets. Yet across the world in China, warning signs of a potential downturn have been building for some months, as discussed here in June. As the chart below shows, President Xi Jinping’s decision to move away from stimulus policy will have a direct impact on the global economy, as this has been the main source of the liquidity that has boosted financial markets over the past decade. China’s official and shadow bank lending totalled more than $20tn between 2009 and 2017. 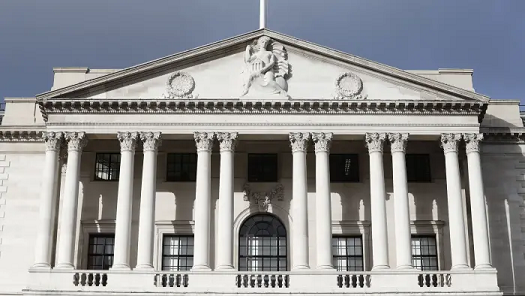 By comparison, the US Federal Reserve, Bank of Japan, European Central Bank and Bank of England added “only” $13tn between them. The critical importance of China’s policy shift was highlighted in December by the state-owned Xinhua news service when it announced Mr Xi’s priorities for 2018 as being to fight “three tough battles” to secure China’s goal of “becoming a moderately prosperous society” by 2020. 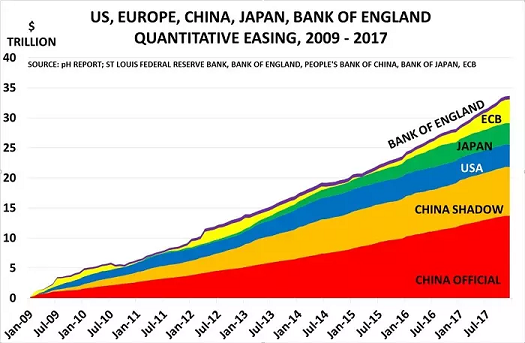 “Financial deleveraging” was described as the first battle, and it seems the opening salvos have already been fired, given that China’s capital outflows collapsed from $640bn in 2016 to just $60bn in 2017. 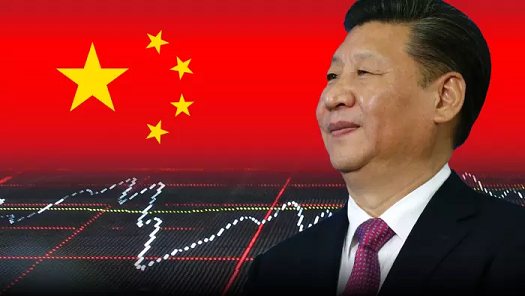 The People’s Bank of China then reinforced this priority in January with a statement emphasising that “slower M2 growth than before will become the ‘new normal’, as the country’s deleveraging process deepens and the financial sector gets back to the function of serving the economy”. Western financial markets, however, seemed to adopt the “Road Runner approach” to this major paradigm shift in economic policy. Like the cartoon character Wile E Coyote, the new year saw them continuing to hang in mid-air before finally realising they were about to plummet into the chasm. Even more worrying, now calm has been temporarily restored, is their failure to learn from the experience. Instead, commentators have mostly gone back to their comfort zone and are again focusing on the minutiae of policy statements from the major western central banks. This could prove a costly mistake for investors and companies. As the FT reported in December, Mr Xi has already “made controlling debt at state-owned enterprises a top policy priority”, and it seems likely he will follow the IMF’s advice by increasing budget constraints for China’s zombie companies and allowing more corporate defaults. January’s shadow bank lending was the lowest January level since 2009 at just $25bn, and it was 90 per cent lower than in January 2017. The recent rush of asset sales by major Chinese corporates such as HNA and Dalian Wanda is another clear sign of the new discipline being imposed. Foreign investors must hope the companies realise a good return from these disposals, given that they provided $221bn in dollar-denominated loans to Chinese borrowers last year. Deleveraging is only one of Mr Xi’s “three battles”, however. And while his second battle on poverty reduction is unlikely to impact the global economy, his third battle, the “War on Pollution”, has a number of potentially critical implications. It has already led to thousands of company closures and forcible relocations, and has severely disrupted major parts of China’s economy — causing China’s producer price index to peak at 6.9 per cent in the fourth quarter. In turn (as we had forecast here in November), this surge has created today’s “inflation surprise” as its impact rippled round the world. One key component of the “surprise” was the disruption caused by the unexpected loss of production in key commodity markets. Oil prices have surged, for example, as China’s move away from coal has powered a short-term increase in oil demand. And, as always, the surge has been boosted by the inventory build typically associated with such unexpected and sudden price hikes. 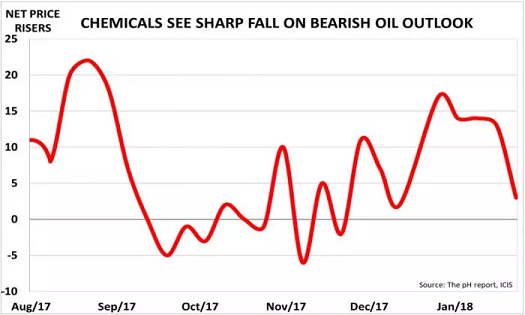 This can be seen in the second chart, which focuses on volume changes in the chemicals market, normally an excellent leading indicator for the global economy. It confirms that consumers put aside their initial scepticism over Opec’s ability to support the oil market, as China’s excess demand helped prices to rise 60 per cent from June’s $44 a barrel to January’s $71 peak. Purchasers scrambled to build stock ahead of likely price rises for their own raw materials. This time round, it even led buyers to abandon their normal tactic of reducing stock at year-end to flatter working capital data. Instead, inventories rose quite sharply all down the value chains, creating the illusion that demand was suddenly increasing in a co-ordinated fashion around the world. The world has seen many similar increases in such “apparent demand” over the years, and these can temporarily add up to an extra month’s demand to underlying levels. This increase is, of course, only a temporary effect, as it is quickly unwound again once prices start to stabilise. The chart also shows that this was already starting to happen in January, with the normal seasonal stock-build being replaced by destocking. 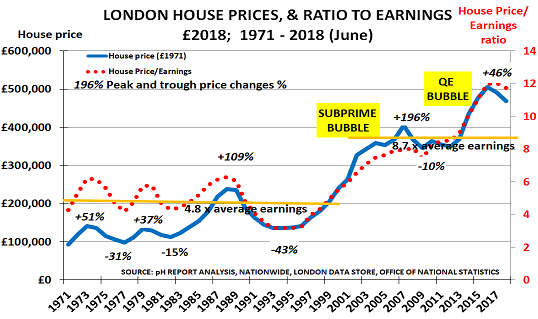 In turn, of course, these developments raise a major question mark over the current assumption that the world is now seeing a synchronised global recovery. 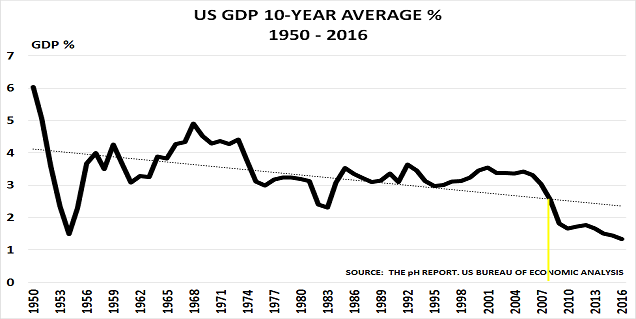 We suspect that by the summer, policymakers may well find themselves repeating the famous lament of Stanley Fischer in August 2014, when the Fed’s vice-chairman sadly noted that “year after year we have had to explain from midyear on why the global growth rate has been lower than predicted as little as two quarters back”. Paul Hodges, Daniël de Blocq van Scheltinga and Paul Satchell publish The pH Report. The post China’s role in market volatility – Beijing’s shifting priorities raise questions over assumptions of global growth appeared first on Chemicals & The Economy. We have seen such rallies before, and we will no doubt see them again. They confirm how difficult it is going to be for markets to return to valuations based on the fundamentals of supply and demand. It is so much easier to base your investment strategies on stimulus programmes. 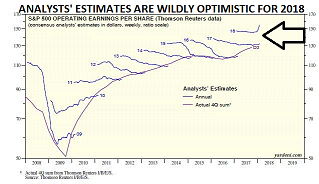 These create a looking-glass world where bad news on the economy is always good news for financial markets, as it means they will more free cash with which to push prices higher. And the only strategy one needs to know is to “buy on the dips”. However, there has been little follow-through on these rallies, and the hoped-for stimulus has not (yet) appeared. As a result, investors are having some nervous moments. In oil markets, for example, inventories have continued to increase; China’s economic growth has slowed further; oil supply has proved resilient and Iran’s return to oil markets has come closer. Thus Brent prices have already slipped below $49/bbl. “Vitol, the world’s largest oil trader, believes the crude price will struggle to trade above $60/bbl next year, as the effects of slowing global demand growth could be compounded by a return of Iranian and maybe even Libyan barrels. Even this view may prove optimistic in my view. China’s President Xi has every incentive to ‘take the pain’ of an economic slowdown by the end of 2016. He must surely want to be able to argue that the worst is over, and better times lie ahead. when he comes up for reappointment in November 2017. This has major implications for company Budgets next year, as I discuss in a new analysis for ICIS Chemical Business. Xi’s New Normal policies also raise the question of whether we are now seeing a generational change in demand patterns, as I will discuss next Monday in my 2016 – 2018 Budget Outlook. Please click here to download the ICIS article.